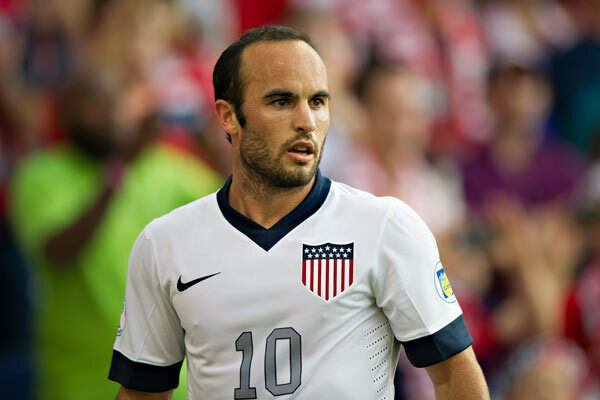 Former US national team striker Landon Donovan has joined Premier League outfit Swansea City as an advisor to the club’s current American owners. Swansea became the latest Premier League club to undergo foreign ownership after they were taken over by Jason Levien and Steve Kaplan. Football is not a popular sport in North America, but it is spreading at a rapid pace. Hence, it is not surprising that owners have purely entered into Swansea as a business decision. Donovan will be assisting them in aspects like transfer budgets and running the club with a vision. Donovan is widely known for being one of the best players ever produced by the US National soccer team. He went on to play for the likes of Bayern Munich and Everton before retiring in 2014. His exit from the game on a playing level has largely been attributed to his fallout with national team manager Jurgen Klinsmann. Many expectedDonovan to turn his back on the game, but he has made an unexpected return and with Swansea. The Welsh club has experienced an up-and-down time in the Premier League over the last few years. After experiencing immense success with Michael Laudrup, they have struggled to avoid relegation on a few occasions. “The new owners met with me a few months back and said this is likely going to happen and admitted that they didn't know a lot about football. [They said] 'we know that you know the game and you're passionate about it, you played at Everton, spent time in world football and sort of understand it a little better, would you be willing to help us, advise us and consult with us on certain things?' I said yeah, that would be great and that's something I am certainly open to,” said Donovan after arriving at Swansea.